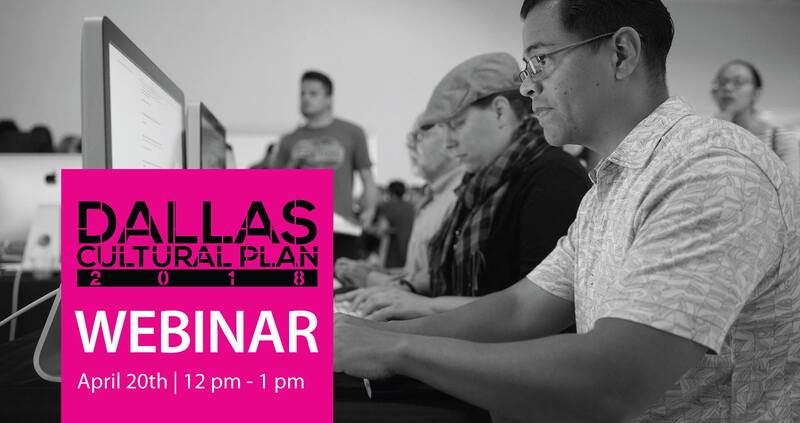 This webinar is part of the Dallas Cultural Plan 2018. Led by the Dallas Office of Cultural Affairs, the Plan will articulate a unifying vision of arts and culture, ways to implement it, and a policy framework for an updated cultural policy. Once completed, it will present a practical guidebook for the City and its partners to realize this vision.